I have been suffering with a lower limb injury this month and at times I thought I would not be able to do this race which made me sad as this is one of my favourite races. 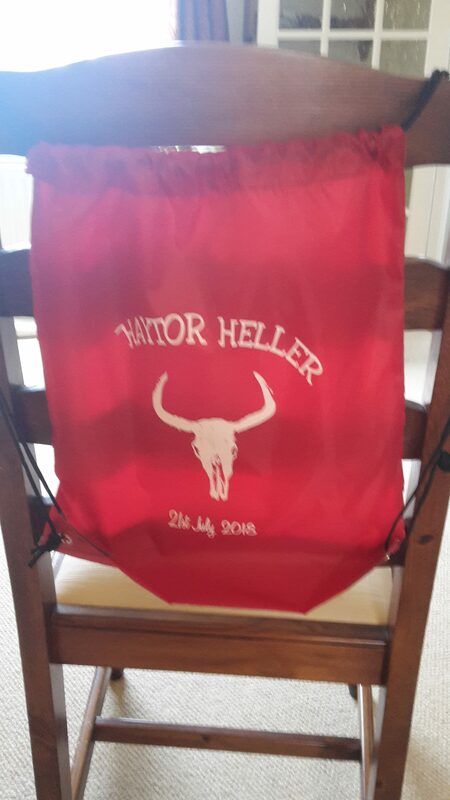 The race is the Haytor Heller which takes place on a Saturday evening on Dartmoor in July, it is 6 ish tough, tough, hilly, hilly miles across the rugged moor land but it’s fun. I have only previously run it twice as I was out with injury for four years, so I was desperate to run it again this year, I do not know why it is one of my favourites, it’s definitely not because it is easy!!! I think that it is a stunning race, a good challenge and the views just make you feel alive. As I haven’t run this race since 2013 I was nervous as I had a feeling that I had remembered all the good bits of the race and forgotten all the really tough parts. I also didn’t know how my leg would hold up over the tough terrain. But I was excited to be there, excitement or nerves meant I arrived two hours before the start of the race but I it was nice to chill in the afternoon sun. After we parked I looked towards Hay Tor and saw the start flags that are halfway up the path to the Tor and I got excited, yet I also remembered just how tough this was going to be. I was joined by four other Honiton Runners with three of them doing the Heller for the first time, we were all excited and nervous and just looking to have fun in the late afternoon. The weather was very humid with cloud cover and the odd outbreak of sun, the humidity made the run feel unquestionably tough due to the lack of oxygen. I surprised myself at the start as I am sure that I ran more of the hill than I have previously done, I walked briefly before continuing a slow jog to bring me up to the base of Hay Tor and to hear cheers of support from our supporters. Whilst running along I felt that I had remembered the route pretty well and I tried to look and enjoy the views as much as possible. The route up to Hound Tor had been changed as I found climbing up was much easier that I had remembered and the views from the top was stunning and you could see for miles and even see the sea. The run down from Hound Tor is probably my favourite section of the race, it is not too technical, there is fabulous views and you can see the faster runners up in front. This year it was like running through a jungle as the vegetation was so tall, taller than me and unlike previous years you couldn’t see the path ahead and I just had to trust I was on the right route. At the end you emerge at the river which I had not remembered at all and I had forgotten the next section where you scramble to get up the other side. I had forgotten the next section but with the post-race chat I found that this next section was new this year, just a lot of step ‘rock climbing’. It soon levelled off and I could see the runners ahead and I could see a member of my running club in front which did spur me on to keep pushing even though my legs and body were tired, and walking would have been a nicer option. Just like in previous years there is always a friendly marshal at the top of the final hill behind Hay Tor and seeing him/her is just a mental and physical boost that you need before the downhill sprint to the finish. I remember looking at my watch and thinking I could get under 65 minutes, so I put my foot down and kicked for the finish. However I clearly remembered the downhill finish to be much shorter than it actually is. It is a long way to the finish flags, but the good this is it completely downhill and I kept up my speed up, I even kicked again once I could see the finish clock and I wanted sun 67 minutes. I finished in 66.52 minutes, 123rd out of 229 so top half which is great and I was first lady home for our club. The tough circular route takes you across rugged moorland, with tough technical descents, big hills and a river crossing. The beginning is half way up Hay Tor, which is tough to get going on a hill, but you can walk the steepest section and you are greeted by lots of supporters at the tor itself. You swing around the back of the tor before a steep descent which lots of loose and uneven rocks below your feet and you then join the old granite railway line. Following this railway takes you along an undulating section of the route with beautiful views across the moor and of the runners in front but it finishes with a long very steep descent. After this technical section you are rewarded with a relatively flat section on solid ground as you are following a farm track before a wonderful safe downhill piece through the wood which was cooling, and which leads you down to a stream which you cross via large flat granite rocks. At this point you have just passed the 5 km mark however there are no distance markers along the route. It is lovely being down in the valley, but you know that you need to climb up to Hound Tor and this starts here with a short sharp climb up to the heathland from the river before the long winding climb to Hound Tor. On some of this climb you can do a slow run, whereas on some of the route it is quicker to walk. There is a water station at the top of Hound Tor and this is also the 4-mile mark, you drop slightly downhill to take you off the Tor, bare left and there is a nice, relatively safe long downhill section. The start of this segment is probably my favourite as the views are amazing, you can see the faster runners ahead and they look like ants and generally I just feel alive. This year some of the path was extremely narrow, with the bracken and gorse really tall, taller than me so I could not see ahead of me and I felt like the size of a mouse. You emerge from the jungle by the river and it is time to get your feet wet as this river crossing there are no large granite slabs to use. To get up the bank the other side of the river there is a bit of scrambling to do and this along with the next 30 meters is the toughest and steepest section of the whole run and it really kills your legs. Once at the top you can see Hay Tor in front and you know the finish line is not too far away, however your legs are tired and even the slightest incline hurts, and you find yourself at a slow jog. 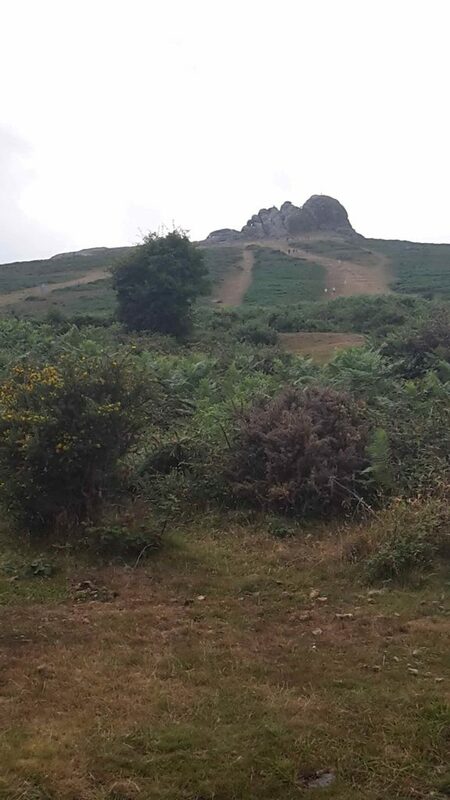 This last hill takes you up to the back of Hay Tor and there is always a friendly marshal at the top to welcome you and to let you know that you have made it and it is a fantastic downhill sprint to the finish. The downhill is a wonderful feeling as you can let rip, open up your tired legs and use up any last drop of energy. 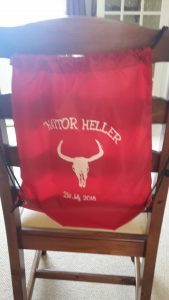 This year the memento was a boot bag and some snacks. They were selling t shirts and hoodies on the day. This race is brilliantly organised by Teignbridge Trotters who organise a number of races in the area, they give a short briefing at the start and there are plenty of marshals and St John’s team on standby. Facebook page was used to promote the event and to let you know that spaces were filling up fast and an email was sent out with race day instructions. Yes, I would recommend this race to anyone as it is one of my favourite races and Dartmoor on a summers evening is a stunning place to run in. Yes, it is extremely tough not only physically but mentally, however the views make up for it. If as long as you can run a 10 km and you run hills in your training you will be fine. This year the memento was not great, maybe next year will be better as in the past I have had a t shirt and last year it was a medal.